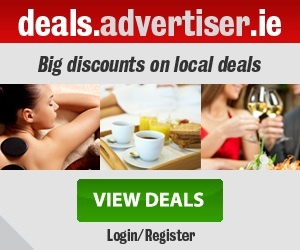 Athlone Institute of Technology (AIT) is offering free and part-funded places on programmes commencing in Athlone, Ballinasloe, and Tullamore, in early 2019. 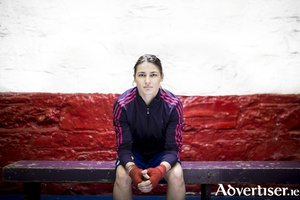 Westport Town Hall will host a one-off screening of a documentary that takes the viewers inside both the personal and professional life of sport icon Katie Taylor. 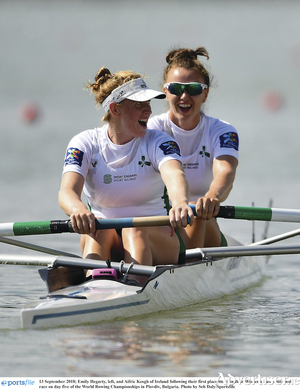 KATIE is a documentary by Ross Whitaker and will be screened on Wednesday, November 28 at 8pm in Westport Town Hall Theatre with Q&A afterwards with the film-maker. 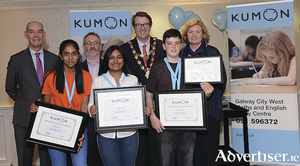 Three young students achieved the highest Kumon academic awards as gold medallist English completers at the Kumon Galway City West awards ceremony. 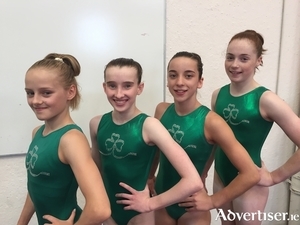 The Irish Chapter of the International Coaching Federation (ICF) recently awarded the ICF Ireland Rising Star Coaching Award for 2017 to Athlone based coach, David O’Grady. 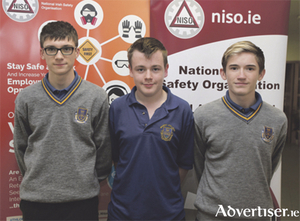 Local school teams performed well at the second National TY Schools Safety Table Quiz, organised by the Midlands branch of the National Irish Safety Organisation (NISO) and hosted by AIT.